Tile roofing dates back to the 2nd century in Sri Lanka where kingdoms and temples used polished stones in construction. In 1888, Australia introduced the roofing style during an international exhibition in Melbourne. The tiled roof gained popularity in Australia in the 17th century when the W.H Rocke Company started to import terracotta tiles from France. The company was a victim of the economic depression of 1892, causing the business to fail and after that the company. Wunderlich Company, owned by the Wunderlich brothers took over the market full by 1897. The Terracotta, which was known as Marseilles tiles, is a locally available material, in Marseilles used to create roof tiles. Importation of terracotta from France was cut short with the onset of World war one. 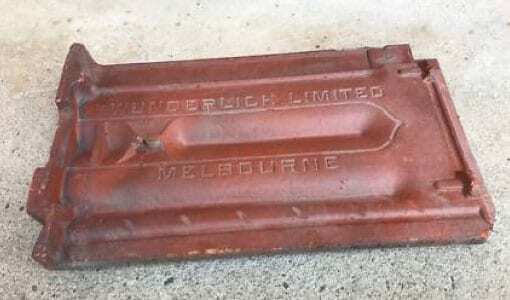 Wunderlich was forced to explore other means to manufacture the red tiles which had become a new building trend in Australia. Discovery of terracotta in the country allowed the company to continue with the manufacture of pipes. With the inception of the industrial revolution, another company, Monier, started to produce concrete roof tiles in 1947. The product was embraced well by the Australians because of its durability and affordability. The concrete roof tiles gained popularity in the country in the 1970s with many companies engaging in the venture of manufacturing the product. Research and innovation led to the development of roof painting in the 1980s. The concrete roof painting became a good development for those who acquired the original paint. The industry attracted manufacturers who did not understand the concept of a right paint system. In the 1990s, many customers acquired with cracked concrete tiles and degraded tiles. The introduction of a bureau of standards governing the quality of paint available in the market led to better paint formulation. The tile roof industry, however, continues to be the better choice for many builders. New ideas and invention are tested to continue to improve the product to make it compatible with the Australian climatic conditions as well as making it energy-efficient, durable and eco-friendly. Every company aims to create a product that is energy efficient to reduce the consumption of energy and the transfer of external heat into the building. The tile industry utilizes the direct heat from the sun to trap enough temperature inside the building or transmit the sun’s energy off the roof surface. The tile industry achieves solar reflectivity thought the invention of a variety of tile paints. The tile-coloring function applies to both clay and concrete tiles. The reflectivity strength of the pipes depends on the color of the tile with the lighter ones having higher reflective ratings. 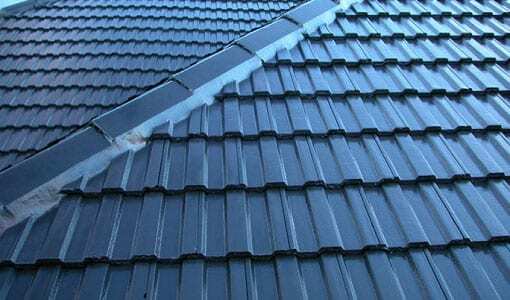 The Australian tile industry makes a more significant contribution in dealing with the high wind speed experienced is some parts of Australia. With research conducted through constant field testing, concrete tiles are developed to stand high winds of up to 161 miles per hour. Fastening tables are installed together with the pipes to improve its uplift resistance. The main idea is to make the roof tile more rigid and easier to install. In collaboration with other companies, the Australian tile industry expands its scope of research to manufacture products that meet the Class A fire ratings in roofing systems. The Roof Tile Association of Australia (RTAA) in partnership with Tile Roofing Industry is working toward developing underlying products that maintain the class-A fire ratings of the roof tiles. Since wildfires are a threat to the safety of many households in the area, the Roof Tile Association of Australia is exploring methods to reduce high-wind spark behavior and improve fire resistance. The development and creation of flat tiles help widen the uses of tiles. The flat tiles smooth flow of water, debris, and leaves which accumulate on the rooftop. The new design also enhances visibility and clarity. It continues to open avenues for different architectural design limited by the serrated design. Several tile users in Australia benefit from the installation of solar panels in the roof tiles. Some solar panels are designed to interlock with the tiles forming an array which makes them sufficient in trapping enough energy. The fact that clay and concrete slabs originate from natural materials make them environmentally friendly. Their performance about its effect on the environment is enhanced using coatings that improve its durability and reflectivity. Additives in the clay and concrete tiles are not only useful in increasing resistance to pollution but also increase the insulation properties of the pipes. When the durability of the tile increases, the need for reroofing and disposal reduces. The Elemental tile from Monier illustrates advancement in the tile industry. The flooring is specially designed for the Australian conditions with adequate reinforcements and technology to withstand the elements. The Elemental tiles generate the name slate because of its resemblance to the rock. The tile is created from a superior engineered composite matter which is reinforced with fiber. The material meets the Australian Building Standards making it safe for use. Unlike other roof tiles that are heavy, Elemental is five times lighter. After intensive series of testing, Elemental portrayed higher strength to weight ratio than metal. Through the innovation in the tile industry, the Elemental is one of the tiles with resistance to dust and dent. They are also resistant to color fading, and paint degradation caused. The Monier product is durable with the ability to resist high winds. Many countries are joining their methods of research and exchanging data to promote innovation and development in the tile industry. With its natural properties, researchers are taking advantage of the product to explore its potential in making it a better product. Roof Tile Association of Australia continues to explore the tile industry and develop a variety of tiles that are durable, strong, energy efficient and can withstand harsh Australian elements.